From the end to the very beginning, Stephen Cottrell offers a new way of seeing what the Nativity really means. Walking Backwards to Christmas gives you a new and grown-up perspective on the Nativity story you first encountered in school and church Nativity plays. Stephen Cottrell gets you back into the real meaning of the childhood story simply by telling it backwards; from where you are now, to where you need to be to really understand its truth and deeper purpose. It’s like hearing the Christmas events for the first time. Using the brilliant, deceptively simple device of telling story backwards, Stephen Cottrell helps us encounter it as never before. Writer of ‘Hit the Ground Kneeling’ and the Advent devotional ‘The Nail’, the Bishop of Chelmsford narrates the Nativity story from the perspective of key characters giving us insights into the story’s many horrors and uncertainties as well as its joys. Walking Backwards to Christmas clearly steals its headline grabbing title from the famous Goon Show nonsense song. But this is no mere publicity stunt, nor is it nonsense. There is a great deal of good sense and reason behind choosing this title. This book offers a fresh and unique Advent study course – which can even be used as a sound basis for an adult Nativity play. As you’d expect in an adult approach to the Christmas story, there’s a more balanced approach to the narrative; taking its elements of doubt and darkness as seriously as its themes of wonder and light. The backwards approach gives you an understanding of the complex narrative, and of the complex motivations of the key paricipants in the story. These include the Old Testament characters; Moses, Isaiah, Anna, the prophetess and Rachel, who wept for her children. And not forgetting the main-stage players; King Herod, the wise men, the shepherds, the innkeeper's wife and Jesus’ immediate and extended family. Each imaginative and solidly biblical reflection is prefaced by the relevant Bible reading and followed by a thoughtfully crafted, devotional prayer. If you want an Advent and Christmas devotional that will help to change and mature your understanding of the Nativity story, then Walking Backwards to Christmas is probably the way. Walking Backwards to Christmas by Stephen Cottrell was published by SPCK Publishing in August 2014 and is our 8311th best seller. 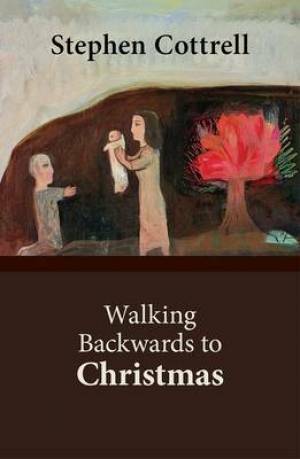 The ISBN for Walking Backwards to Christmas is 9780281071470. Be the first to review Walking Backwards to Christmas! Got a question? No problem! Just click here to ask us about Walking Backwards to Christmas. Using the brilliant, deceptively simple device of telling the Christmas story backwards, Stephen Cottrell helps us encounter it as if for the first time. Narrating the story from the perspective of key characters gives us insights into its many horrors and uncertainties as well as its joys. The book may be used as a fresh and unique Advent study course or even as an adult Nativity play. Though the Christmas story is well known, most of us have learnt it from school nativity plays and carols. On the whole, this familiar version is more concerned with light than darkness. The backwards approach taken here allows the movement to be in the opposite direction, enabling us to get under the skin of a complex narrative. We begin by seeing through the eyes of Anna, the prophetess; followed by Rachel, who weeps for her children; King Herod; Casper, a wise men; David, a shepherd; Martha, the (so-named) innkeeper's wife; Joseph; Elizabeth; Mary; Isaiah and, finally, Moses. Each imaginative reflection is prefaced by a Bible reading and followed by a prayer.